Why is this an Essential Component? Access to and use of high quality, timely and transferrable data can contribute to improved patient experiences and outcomes. A key objective of this Blueprint is to enable patients, families and carers to have seamless journeys through the often complicated care systems required to meet their needs. “Collecting and analysing data are central to the function of quality improvement in any health service” (Victorian Quality Council, 2008). Health care data collected using standardised assessment tools and compared with benchmarks can have impacts not only on decisions about the care of individual patients, but also on outcomes at a population level. Quality improvement initiatives at a service or jurisdiction level depend on understanding and utilising reliable data to solve “the right problem in the right way … Data not only enables us to accurately identify problems, it also assists to prioritise quality improvement initiatives and enables objective assessment of whether change and improvement have indeed occurred.” (Victorian Quality Council, 2008). Access to and use of high quality patient-level data informs efforts to improve patient experiences and outcomes. Access to and use of high quality service-level data informs efforts to improve care coordination and integration. Access to and use of high quality system-level data informs efforts to improve funding models, planning and policy development. Medical records are electronically integrated and available across all care settings at the point of care throughout NSW. Clinical information is available at the point of care in all care settings. Access to and use of high quality data supports effective benchmarking and service evaluation. Access to and use of high quality data enhances quality improvement outcomes and research. What tools/resources could support the implementation of this component? The Agency for Clinical Innovation commissioned CareSearch (Palliative and Supportive Services, Flinders University) to identify local, national and international tools or resources that can potentially be used to implement each of the ten (10) Essential Components of Care within the Blueprint. To be included, tools and resources were required to be in English, be applicable to the Australian context and be supported by evidence (such as published validation studies, clinical guidelines representing expert consensus, or advice from expert clinicians who were consulted). The set of tools and resources provided is not intended to be exhaustive, nor is any one tool specifically recommended. Click here for more information on the methodology adopted by CareSearch in identifying these tools and resources. A journal article reporting on seven randomized control trials and six non-experimental studies on the value of patient held records for people with cancer. The Preferred Priorities for Care (PPC) document is a patient-held record promoted by the End of Life Care Strategy as an ACP tool to promote discussion and communication amongst patients, family and health care providers. 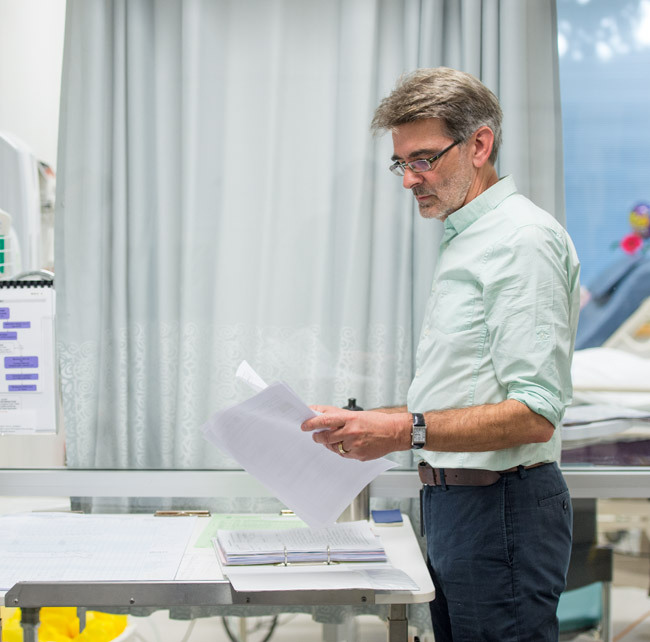 The Palliative Care Outcomes Collaboration (PCOC) is a nationally funded program utilising standardised clinical assessment tools to measure and benchmark patient outcomes in palliative care. Participation in PCOC is voluntary and can assist palliative care service providers to improve practice and meet the Palliative Care Australia (PCA) Standards for Providing Quality Palliative Care for all Australians. Website of the American Centre to Advance Palliative Care - advocacy group providing clinical training materials and community information resources.